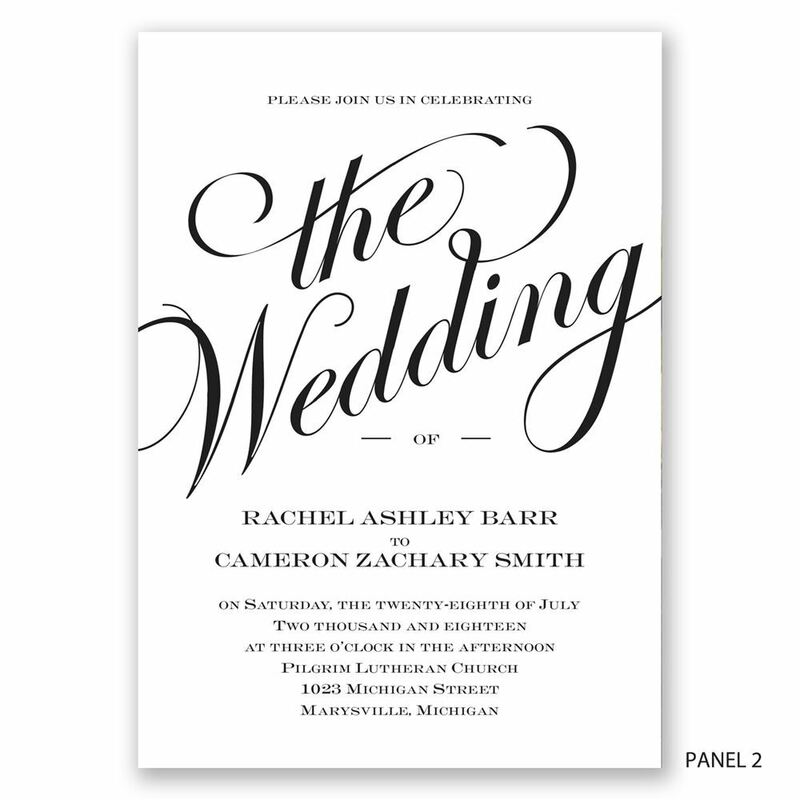 An event as special as your wedding day deserves a wedding invitation as special as this one. "The Wedding" is incorporated into the ultra elegant swirl design accenting your photos on this trifold wedding invitation. Your photos appear on the first and last panels. Your wording appears on the middle panel. Design and wording are printed in your choice of colors and fonts. Invitation includes inner and outer envelopes. Love love love these invitations! I was a little hesitate on ordering online, because I was worried about the quality of the photos - but they turned out so beautiful! I have received so many compliments on how great they look, and I am so happy with them. Now i have one less thing to worry about while planning a wedding :) Delivery was quick and efficient, I think I received them in 7 business days. I was emailed with all the information, as well as tracking numbers, and they got here sooner than I thought they would! I'm so in love with my invitations!!! I'm so in love with the invitations, invitations by dawn was a wonderful easy page to order, no hassle, the arrive so fast and in perfect condition. I will definitely recommend them to anyone.